For the past few days, I have been at the Lake of the Ozarks (MO). My main photographic objective this trip was to capture the last Super Moon of 2019, over the lake. At the last minute, the weather cooperated and I was able to catch the large globe rising above the lake … I’ll feature some of those images in another post. 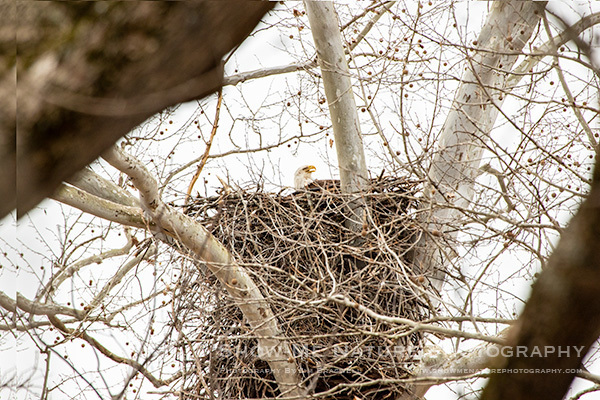 Today’s “Fun Friday” post features a Bald Eagle that is currently nesting around the lake. This large nest has been used for several years and is located a short distance from the lake, and in a rather woodsy area. 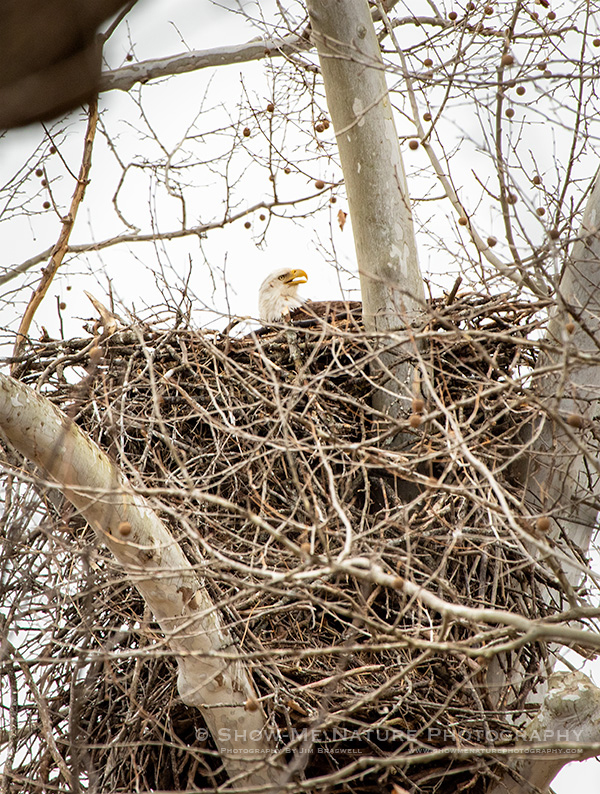 It was quite difficult to shoot through the woody vegetation, and this image required quite a bit of “limb removal” in Photoshop, so I’m not sure how long I can follow/photograph this nest. Once the tree leaves begin growing, it may not be accessible for photography … but I’m keeping my fingers crossed!!! I hope to edit the Super Moon images over the weekend and have them posted early next week! Tags: behavior, bird photography, birding, birds, birdwatching, Blog, eagle, Lake of the Ozarks, Missouri, nature, nature photography, nesting, photography, travel, winter.